Well, today is Friday (finally!) 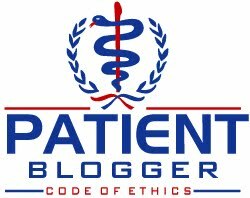 and I realize that while my blog has featured some important information, at times some of the news about management problems at the Food and Drug Administration, corrupt drug companies, and whatnot can be a tad on the depressing side. 0.5. With that said, I'll get the not-so-pleasant news out of the way first. Researchers at Duke University have reported that even doses within the U.S. FDA's "Acceptable Daily Intake" of the artificial sweetener sold under the brand name Splenda (known generically as sucralose) may damage gut bacteria and boost weight gain. Keep this in mind: for my entire life, artificial sweeteners ranging from saccharin causing cancer (later proven wrong) to aspartame claimed to destroy amino acid sequencing (numerous studies have since proven those claims wrong, too), and countless other maladies, and virtually all of those claims have later been proven wrong. Incidentally, on a bright note to this news, earlier this year, sucralose lost patent protection which the British manufacturer Tate & Lyle challenged in court on the basis of manufacturing patents. However, this week, generic manufacturers won a big lawsuit in court on those legal challenges, meaning that more low-cost varieties of the sweetener will become more widely available soon! That's why I'm calling this news my item #0.5! 1. With the sweetener news out of the way, let me get on to the better news! First, you probably heard that the Americans with Disabilities Act had been undermined by a series of supreme court rulings which left people with invisible conditions unprotected. Congress moved to undo those rulings by amending the legislation by a veto-proof margin. The good news is that President Bush signed the legislation anyway, so there was no need to override a veto! AmyT had a great write-up on that yesterday. 2. Mayo Clinic researchers have found what could provide a solution to a troubling diabetes complication (one which has some evidence of having an autoimmune basis which therefore cannot necessarily be prevented with good glycemic control): gastroparesis, or delayed gastric emptying. Gastroparesis is challenging because it further damages the ability to manage diabetes or dose insulin properly because the patient is no longer able to predict when the digested foods will hit their bloodstream, making each insulin dose a crapshoot. Further, the handful drugs which are available to treat the condition have proven ineffective in many people, and those which are approved have various undesirable side-effects. These findings appear in the current online issue of the journal Gastroenterology, although since no abstract is available, you may find the Mayo Clinic news release more informative. 3. In Diabetes OC news, I wanted to share with everyone that I have recently communicated with Chrissie in Belgium (you may know her blog, which is "Chrissie's Diabetes Blog") but her last blog posting was November 20, 2007. She shared some photos and news, and wanted to share with everyone that she's doing well, but is not quite ready to return to blogging. She confided that she didn't know if she'd even remember how, although I assured her she was making too much over it. Regardless, I first met Chrissie via blogging, and since she grew up in Sweden, I mentioned that I lived in Finland for a time back in 1987, and that I grew fond of salmiakki (or as they call it in Sweden, saltlakrits meaning "salt licorice"), and since then she has sent me a few boxes of the sugar-free salt licorice when she returns to Sweden. I received a package (rather unexpectedly) of salt licorice about 2 weeks ago, so I returned the favor with a product I've taken a liking to (featured in my #4) which seems very fitting for the fall season: apple-flavored juice mixes which I swear taste like the real thing! Anyway, I recently sent a box of these over to Chrissie, and I think I've convinced someone else that these things taste like the real thing! I have only found them in A&P-owned supermarkets (e.g. A&P, Food Emporium, Waldbaum's, Super Fresh, Pathmark, etc), but you can buy them online, too! 5. Finally, let me point out that I've added a banner advertisement of sorts on the right hand side of my blog for the upcoming Diabetes Research Institute's New York Research Update which they're calling "Diabetes 2.0". As part of that event, a number of bloggers are planning on extending the event with some social events for Diabetes OC members. That takes place in New York City on October 25, 2008, and full details can be found that the DRI Foundation's website http://www.diabetesresearch.org/. The event is not free, but is well worth the small price they ask to reserve a space. They also have a block of rooms reserved at the New York Times Square Marriott, so please, check it out! I am so thankful to see that Chrissy is doing good. I think about her a lot and miss her blogs. Thanks for all the info Scott and I will have to try those Apple drinks. They sound good. Great updates AND I'm so glad you contacted Chrissie. I miss her and thought about writing her this week, loved the photos. And I am glad to see that Skye is still around too !1! Great post, Scott! And please tell Chrissie we miss her. Hey, blogging's like riding a bike, right? I'm sure she hasn't forgotten how. Hi, all of you...... Yup, it is me. I am still here. As usual I will get right to the point. The primary reason why I have stopped blogging is that I write about me. I get personal. I tell you everything and I no longer feel comfortable doing this on a blog where you do not know who is reading it. I cannot write any other way. I wanted and did get true friends. I am not adept at keeping some stuff private, and that I think is necessary on a blog where anybody can read it. You all know how to reach me by email. I think that is a better form for the stuff I write. Secondly I do not think I have that much more to add about how I manage my diabetes. It is the same. Have you thought about that. We all tend to have sort of the same issues now and 3 years ago. I still battle hypos. I don't think it gives much to repeat over and over what works for me. I know that it might be interesting to hear that I have had diabetes for 47 years now and am doing just fine - kidneys working, nerves fine. Yes, I do have eye difficulties, they are my week point. But has you all know I can still drive and read! It is possible to live a long good life with diabetes and I have not had excellent controll during all 47 years of it. For me the pump made a huge difference. The thing is that we are all so different. I have learned that works for me maybe will not work for others. The battle with diabetes is something each and every one of us has to figure out for themselves. Enough about that. It DID make me very happy that you all commented here. That you remembered me. HUG to you guys. And let me say that the delicious apple drink Scott sent me is truly scrumptious. Check out the site and order yourself some - but this product is not sent outside the US. It is so wonderful b/c I never eat/drink sweet stuff, except for a tablespoon of sugared coke for a hypo. Then I am too "out of it to TASTE it. I don't now about you guys, but I have now promised myself to absolutely NEVER drink diet cokes ever, ever again. Why? Because I get addicted to them. I drink more and more and more until I am guzzling 1.5 liters every day. Then I get sores in my mouth that bleed and I feel terribly bloated. That I still want more when it does this to me is amazing. If my mouth bleeds, what is happening inside me. Coke ZERO does this to me. Thank you Scott for telling me about the DOC meeting in October. I cannot come, although it sure would be nice to meet the "old group of friends". So you guys - please send me emails when you feel like chatting with me. Skye is having a hard time, his arthritis is worse..... Look we all get old. He will soon be 13. That is alot for a big dog. For me, the important thing is that he is happy. He is still happy, but we don't take such long walks any more. So he send his woof. Please don't loose contact with me. BTW you know how important reading is for me. Well check out www.goodreads.com if you are interested in finding good books. I am there. I am always checking it out, writing comments on books I have read. I cannot always talk just about diabetes. WHAT A BORE! So good to hear from Chrissie! And the pictures are wonderful! Thanks Scott and thanks Chrissie!